The Boao Forum for Asia (BFA) Annual Conference 2019 will be held in Boao, Hainan from March 26 to 29 with the theme of "Shared Future, Concerted Action, Common Development," announced BFA Secretary General Li Baodong on Wednesday. The opening plenum will take place on March 28. 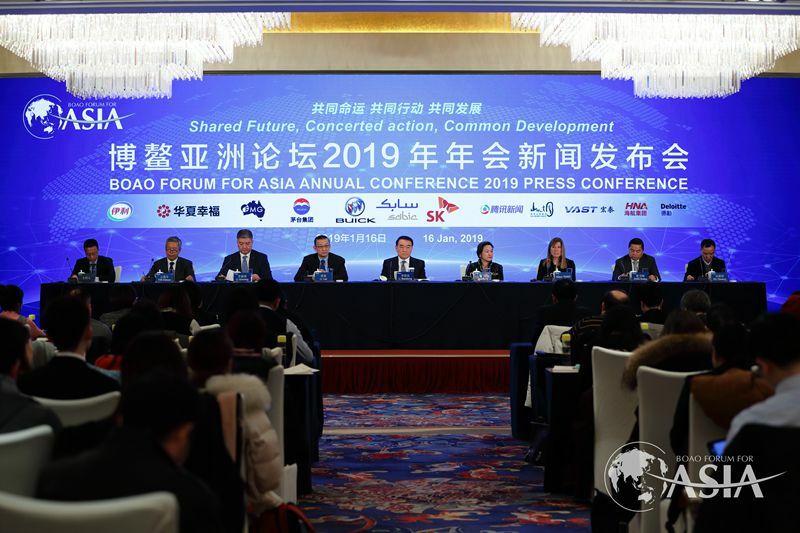 The Boao Forum for Asia (BFA) Annual Conference 2019 will be held in Boao, Hainan from March 26 to 29 with the theme of "Shared Future, Concerted Action, Common Development," announced BFA Secretary General Li Baodong on Wednesday.